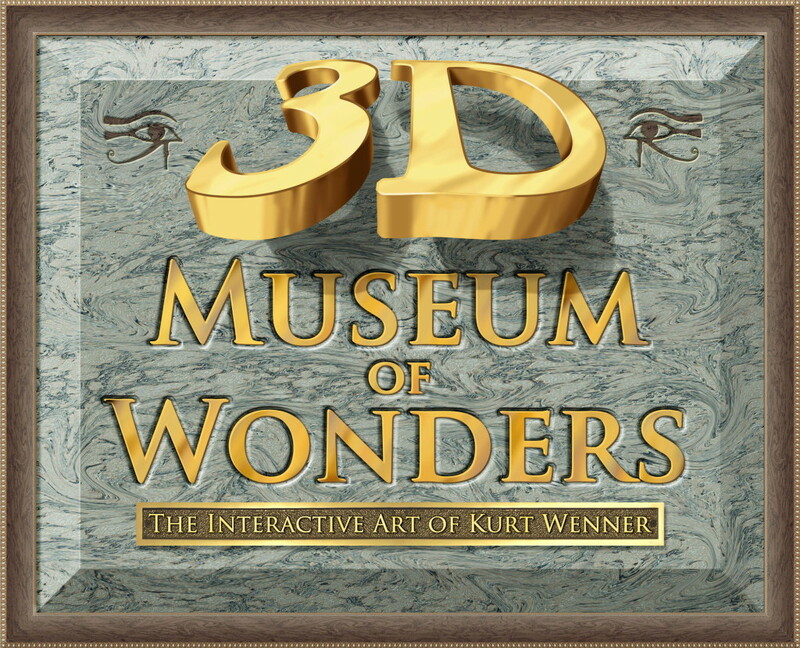 The 3D Museum of Wonders is a picture gallery devoted to 3-dimensional interactive illusions. “Three-Dimensional Pavement Art” in the western world and “Trick Art” in Asia were both invented at the same time and have grown at astounding rates. This permanent interactive venue, new to 3D pavement art represents a new way of delighting and challenging a vast multicultural public. Much of the museum is comprised of a collection of my existing pavement art images. The museum utilizes new technology to incorporate the best of digital imaging into artworks that the public can walk on and touch. The works are still all created by hand, but thanks to digital technology the surfaces are suitable for permanent and interactive displays. 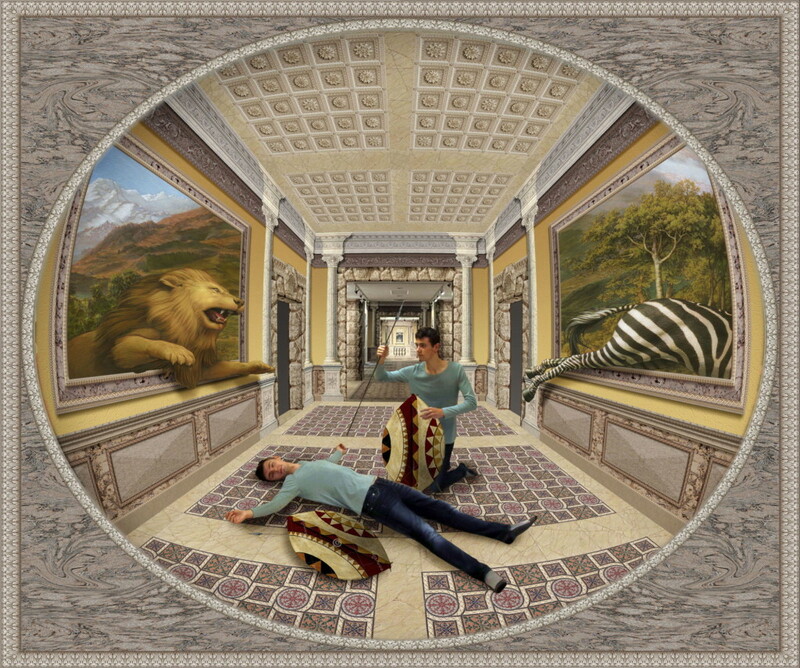 New to the museum is a “Grand Gallery” of interactive masterpieces. This gallery is different from existing Asian “Trick Art” museums in that it incorporates an architectural framework that becomes part of the illusion. Kazumune Kenju, who opened the first “Trick Art” Museum incorporated what is translated as a “parody series” of famous paintings in 1988, which became a staple of Trick Art museums throughout Asia ever since. The word, “parody” may be a poor translation of the Japanese term, as his pieces do not really intend to satirize the original artworks. If there is any irony involved, it is a commentary on the precious way in which works are treated in museums, which creates a distance between them and the public. Making copies of great masterpieces has also been a staple of the pavement artist’s repertoire, probably for centuries. The recreation of iconic works in a public space is therefore not an innovation in the history of pavement art. 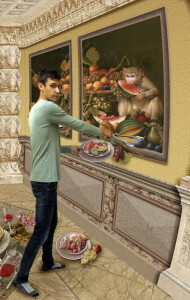 Much of the success of both Trick Art and 3D Pavement Art is due to the Internet and social media. In fact, the interactive aspects of both art forms have responded to feedback from the public. The art forms have in common the fact that they most often include specific areas to incorporate the public into the imagery. To date, large museums have been opened in Japan, Korea, Singapore, Turkey and the Philippines. To date, all of the museums employ teams of painters rather than reflecting the work of a single artist. As the concept moves toward the west, it will be interesting to see whether such venues will still be created by teams of artists or feature the works of a single artist. The 3D Gallery Of Wonders is the first museum entirely designed and executed by a single artist and in this way represents a new approach to the venue. 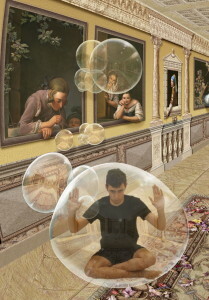 Illusion museums may become a particularly interesting development for other artists, combining the atmosphere of an art gallery with the fun of interaction.